This is Kale Chips. That wasn't his name when he first came to One Tail At A Time in Chicago earlier this month. It's meant to symbolize the long journey he will have to make back to good health. And it's one you can make with him too. Kale Chips weighs 85 pounds. 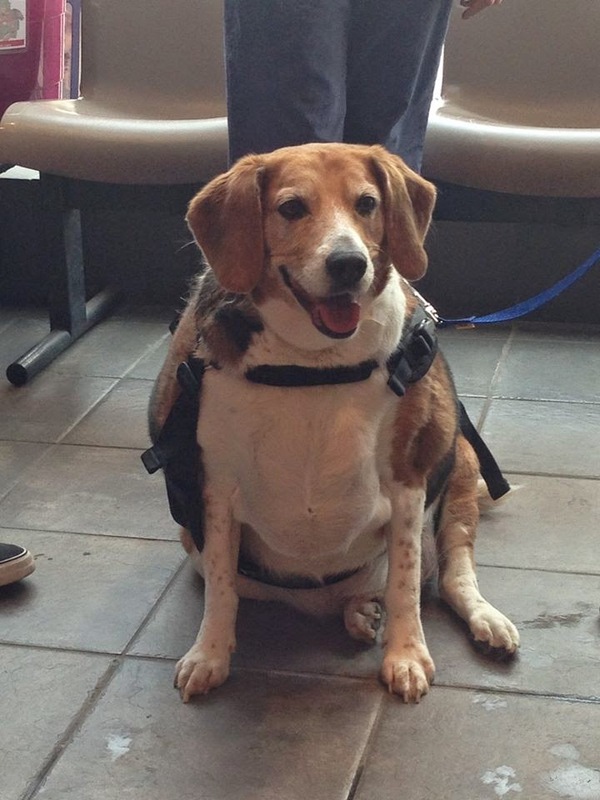 He was surrendered by his elderly owner because he could barely walk. One Tail At A Time is now working out a diet and exercise plan for Kale Chips, who is in a foster home. But they need help. One Tail At a Time is hosting a special fitness challenge to help you get in shape, and also raise money to help care for Kale Chips. 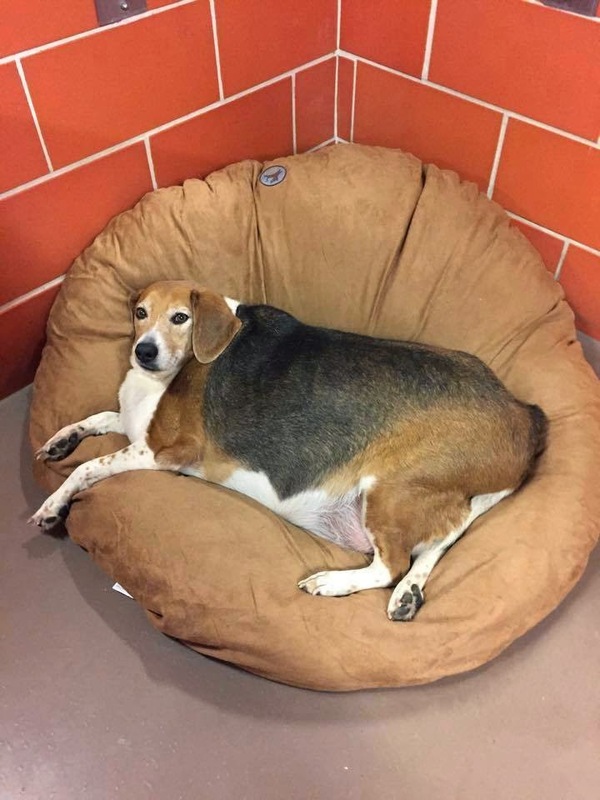 He will go on a special diet, and also start on hydrotherapy to help him lose weight. These things are not cheap. Head to the Team Kale Chips Challenge website. Pledge to exercise and log a total number of miles. Pledge an amount of money per mile. If you fail to make the pledged number of miles, pledge to give a higher amount. Don't want to take the challenge? 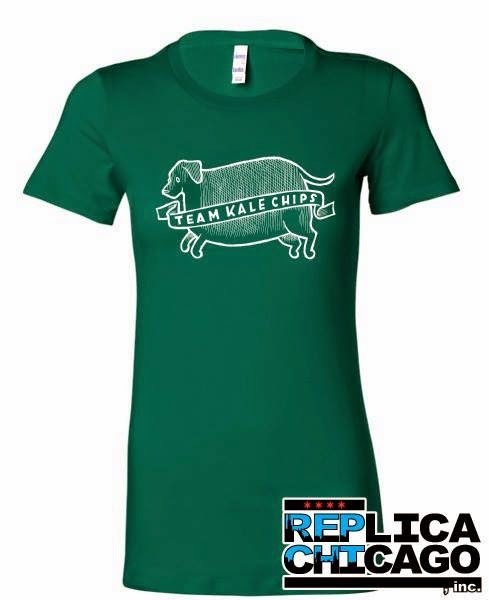 You can donate money, or even buy Team Kale Chips merchandise. Want to help? Head to the Team Kale Chips Facebook page. I know I thought about that when I wrote the headline, then decided the SEO was too good to pass up.